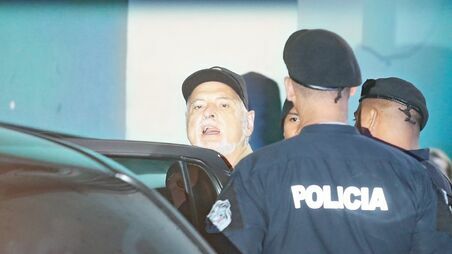 Martinelli returns o El Renacer prison. The case of wiretapping is being taken towards a dead end. The in-depth hearing chaired by a suspect judge has turned into a buffa opera, in which, exceeding his authority, the official has refused to accept evidence that had previously been admitted, excluding a complainant, removing the victims of the court and denying the televised transmission of the hearing. On the other hand, the peculiar behavior of an expert, the first witness of the prosecution, leaves a displeasure of mouth and a stinking smell that we can all identify. The contradictions of this expert with his judicial statements in another previous case, question the credibility of his testimony, and with the active participation of the magistrate president of the court, constitute a mockery of the justice of the first order. This was always the intention of those who planned the scheme of declinatory jurisdiction of the Supreme Court of Justice. They did not want judges like Mejía, nor the body of prosecutors at trial. They seek impunity at all costs and mock all Panamanians, we must, now more than ever, remain vigilant- LA PRENSA Apl. 11.